Links, PR and SEO: Discuss! In recent months, there’s been much debate about the relationship between the media and digital PR. 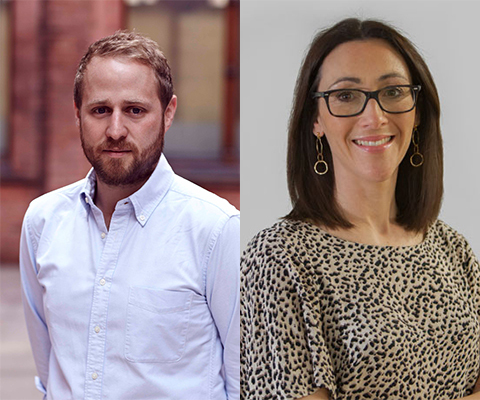 Following on from PRmoment’s conference, The Intersection Between PR and SEO, guest speakers Will Cooke and Sophie Hazan answer questions on how they work together to drive client success. PR and SEO teams are not always seen as natural bedfellows, how are you making that work? Will Cooke: Pooling our collective imaginations across PR and SEO to solve user problems means we’re more effective when it comes to generating ideas which affect a wider variety of channels, over a greater period, and with greater efficiency of resource. From the user perspective, people don’t care who produces the content. Agency teams need to spend less time creating silos and more time creating great campaign ideas that add value to audiences, and offer a smoother workflow. Collaborate, and you’ll find your combined results are greater than the sum of their parts. Why has it taken SEO teams so long to realise the importance of PR to impact SEO results? Sophie Hazan: PR has always had the opportunity to influence SEO, and vice versa, and search engines know it. Google released its Search Quality Evaluation Guidelines in the summer, and with its focus on Expertise, Authority and Trust (EAT), it could have been a manual for the modern day PR + SEO model. Clients and agencies should be bringing their SEO and PR teams closer together to ensure online tactics are as convincing as offline ones. Don’t’ be scared to broaden your approach when it comes to reputation management and ways to raise the profile of your client – whether through thought leadership and partnerships, awards and customer reviews. Securing a backlink from the media seems to be the ultimate objective for most people working in digital PR – but should it be? Will Cooke: Our approach to outreach is ever evolving, and while it’s fair to say that the right type of inbound link will drive authority, this tactic only ever makes up one part of our wider strategy. It’s more prudent to think about outreach as both front-end reputation management and back-end technical work. Be proactive and find ways of building positive stories online about your client, but also ensure campaigns are integrated – that you’re involving both creatives and SEO experts in campaign work so you’re finding new ways to give publishers reason to link back. What are the most important ranking factors? Sophie Hazan: For us, it’s about creative collaboration. At a time when there’s never been greater competition for audience attention, and search engines are finding new ways to dish up truly personal search results, finding new ways to work better together will help you stand out in 2019. That said, if you want Google to see the great things you’re doing never underestimate the power of your technical work from URL structures to meta descriptions and schema. As search officially went mobile-first in 2018 – Google indexing mobile over desktop pages – it’s wise to invest in your site speed and create mobile-friendly pages. And finally, in a post-GDPR environment, safer sites that look after users’ data and security are sure to be rewarded, so at the very least look to make your pages https. No-follow links – in simple terms, what are they? But before you right off a no-follow link, remember there’s still value in no-follow links. As with a citation, they raise brand awareness, direct traffic and ultimately could lead to more conversions. Written by Sophie Hazan, content team manager at digital marketing agency Stickyeyes, and Will Cooke, director of strategy and innovation at PR agency Golin.